In addition to the books I'll be reading for the 2010 Debut Authors Challenge, there are lots of other books that I am looking forward to reading in 2010. Many of my favorite authors have books coming out in 2010. Not a sequel in the strictest sense of the word, more of a companion novel. The Dead-Tossed Waves is told from the perspective of Mary’s daughter. Here’s a tiny description: One reckless moment, and half of Gabry’s generation is dead, the other half imprisoned. Now Gabry only knows one thing: she must face the forest of her mother’s past in order to save herself and the one she loves. Those two sentences definitely make me want to pick up The Dead-Tossed Waves. I have to be honest. . .I’ve already read this one. One of the perks of being a librarian is that occasionally you might get sent an ARC or two, an extra special perk if it’s an ARC of a book you can’t wait to read (for me the ARC for A Conspiracy of Kings was an extra special perk). Megan Whalen Turner is one of those authors whose readers willingly wait years for their next book. I just can't wait until everyone else has read it too. . .
From Amazon: The White Cat introduces Holly Black’s new world. Cassel has always known he killed Lila, but now the pieces are starting not to fit. Intriguing right? I thought so. Then I saw the cover. . . WOW! A small snippet from Amazon: The Demon's Covenant is the sequel to The Demon's Lexicon. Mae was always in control, but suddenly everyone she trusted is lying--and in danger. Sounds very interesting. . .add that to a good helping of Nick, possibly with a sword and we're in for an awesome read. At the end of Catching Fire, the districts of Panem were in revolt against the Capital. Katniss learned that District 12 doesn’t exist anymore and that the Capital has Peeta. Who will Katniss choose? Peeta - the one who has been with her through two Hunger Games? Gale - her old hunting partner and the person who knight know her best? Cassandra Clare’s The Mortal Instruments is a great series filled with demon hunters, werewolves, vampires, warlocks, and fairies set mostly in present day New York City. With the Infernal Devices, Clare takes her readers to Victorian England, where they will find out more about the Lightwood and Herondale families, and who could forget Magnus Bane. We could all use a little more Magnus. 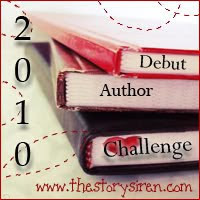 What books are you looking forward to reading in 2010? 2009 was a terrific year to be a book lover. So many great books were published in 2009 that it was often difficult to choose which book to read next. (My “To Be Read” grew to epic proportions this year.) It was hard choosing which books to include on this list. So, I limited myself to books I found myself going back to over and over or had that special something that made me think about it long after I was finished reading. In each of the following five books the characters, setting and action worked together to create a world in which it was easy to get lost or retreat to. I had forgotten how much I enjoyed reading about Regency England until I picked up The Season. Alex, the 17 year-old main character and her friends, are about to enter their first season of balls and dinners in London’s society. Alex’s mother wants her to marry well, but Alex wants someone who is not put off by intelligence. Of course, Alex finds romance and love in the form of Gavin, her brothers’ best friend, and the new Earl of Blackmoor. All the small details, such as ball gown descriptions and the fact that Alex and her friends read Jane Austen novels, really allow the reader to get immersed in the world of Regency England. MacLean’s characters are fun, smart, and very relatable despite the fact that the story is set in 1814 London. I was lucky to get an Advanced Readers Copy (ARC) of Shiver at Book Expo America (BEA) in May. A few people on line in the Scholastic area were saying that it would be the “next” Twilight. While Shiver has not reached such epic proportions, I am happy to say that, in my opinion, it is much better than Twilight. It is the story of Grace, who was bitten by a wolf in her backyard when she was six, and Sam, who is sometimes a wolf and sometimes a boy. Told from both Grace and Sam’s perspectives (in alternating chapters), the story grabbed me from the start. I read it in one sitting and instantly wanted to know what happens next. Luckily the sequel, Linger, will be published in July, 2010. I have been captivated with the South since reading and watching Gone With the Wind in middle school and ever since then have enjoyed reading books set in the South. In this respect Beautiful Creatures does not disappoint, the book is set in the small town of Gatlin, South Carolina, a place so small that everyone knows everyone else. Also, with so many novels having the normal girl fall for the supernatural being boy, it was refreshing to read a book in which the opposite happens. Ethan Wate, normal high school sophomore, is drawn to new girl Lena Duchannes. Lena, the niece of the town recluse, turns out to be a Caster, a gifted individual with powers. Told from Ethan’s perspective Beautiful Creatures is ultimately a story about acceptance and love. Fire is the last remaining human monster in the Dells. Irresistibly beautiful with hair the color of flame, Fire has the ability to control minds. She doesn’t like using her power because she is afraid of turning into her father, who used his ability to control minds to hurt both animals and humans. Then she is asked to uncover a plot against the king. Fire soon discovers that her power was greater than she realized and that it can and should be used for good. In Fire, Cashore creates a protagonist that must reconcile her abilities with her morals. I enjoyed seeing Fire transform from someone who kept most people at a distance, into someone who was able to open her heart to others. Her relationship with Prince Brigan is so well written that the reader knows that Fire loves him before she realizes it herself. Cashore is definitely an author to keep your eye on. If you had a terminal illness, how would you deal with it? Sixteen year-old Cameron Smith, high school slacker, finds out that he has Creutzfeldt-Jakob (Mad Cow) disease. He finds himself being poked and prodded until he meets Dulcie, a punk rock angel who tells him that he can find a cure for Mad Cow. Along with Gonzo, a hypochondriac dwarf, Cameron escapes from the hospital and goes on a road trip in search of Dr. X, a physicist who might have the cure he’s looking for. Along with a yard gnome who thinks he is a Norse god, Cam and Gonzo make their way from New Orleans to Florida, just in time for the strangest spring break recorded. I love that Going Bovine keeps readers guessing. You’re not sure if Cam actually goes on his road trip or is just having hallucinations until close to the end. 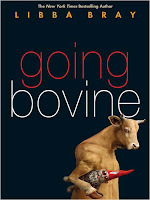 I have to admit that Going Bovine made me shout out with laughter and cry within the span of a few pages. Cam is my favorite narrator of the year; he made me want to root for him and wish that I could join him during certain parts of his road trip. Honorable mentions: Because I couldn’t keep my list to just five books, here are some more books that I enjoyed immensely. These books have interesting characters, or amazing settings, or thought provoking plots (or a combination of all three). Megan Whalen Turner's "Queen's Thief" books are some of my favorite books. Megan creates such fascinating characters and intricate plots that it is very easy to get lost each book. All the twists and turns make rereading interesting and worthwhile, with each reading I find another piece of information I missed the previous time. Without giving too much away. . .I can tell you that the series is mainly about Eugenides, the thief, and his adventures in the countries of Eddis, Attolia and Sounis. Why am I waxing poetic about The Queen's Thief? Because, at the Mount Kisco Library (where I work) we podcast and get to interview authors. And earlier this week we had the chance to interview Megan Whalen Turner. She was kind enough to speak with us for an hour, so long that the interview had to be split into two podcasts. In Part 1 of the interview Megan talks about her creative process, naming characters, plot construction, and why she will not answer questions about her books. Follow the link below to the Mount Kisco Library Podcast.